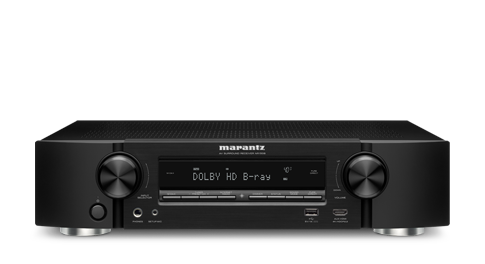 The video section features 6 HDMI inputs (including 1 on the front panel), with full compatibility with the latest 4K Ultra HD video specification, including 60 Hz full rate content, 4:4:4 Pure Color sub-sampling, BT.2020, HDR and Dolby Vision compatibility. 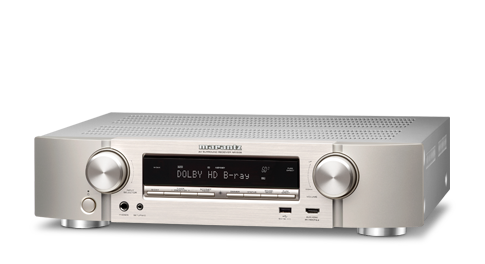 It’s also HDCP 2.2 compliant, for 4K Ultra HD copy-protected content. HLG (Hybrid Log Gamma) pass-through for future HDR broadcast content will be supported via a firmware update. 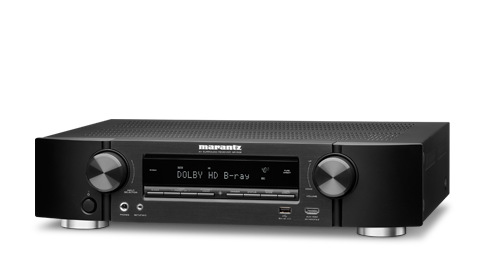 Like the HEOS app, the „Marantz 2016 AVR Remote“ control app is available free for Android and iOS from the Apple app store, Google Play and the Amazon appstore. 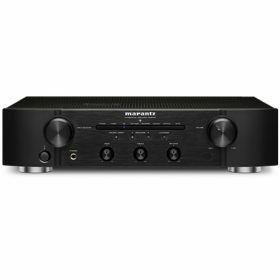 The NR1508’s power amp section features discrete high-current output devices for superb sound with both music and movies, with, identical power on all 5 channels for precision sound. 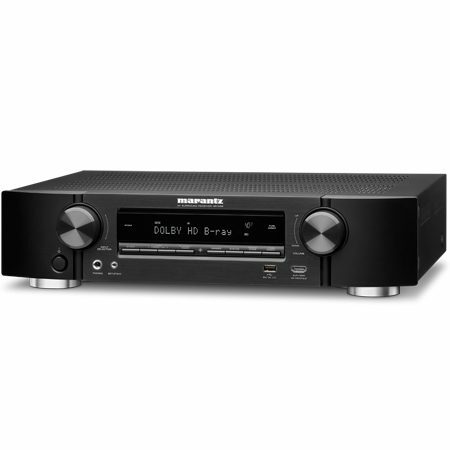 Rated at 85 watts per channel, the NR1508 features low-impedance drive capability, for excellent speaker control, and is compatible with 4 ohm speakers too. 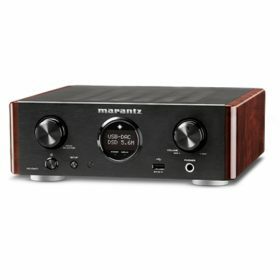 Meanwhile the Eco mode provides energy savings: it features an on-screen Eco meter, while it’s also possible to use the receiver in power-saving mode, either reducing the maximum output power or adopting low-power strategies at more modest settings – and all without any effect on the superb sound quality. 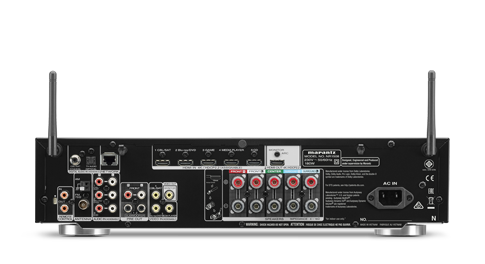 Six HDMI inputs – including one on the front panel for quick connections – feed the NR1508’s advanced video section, supporting the latest HDMI specification, including 4K Ultra HD 60Hz video, 4:4:4 Pure Color sub-sampling, BT.2020 and HDR pass-through support on every input. 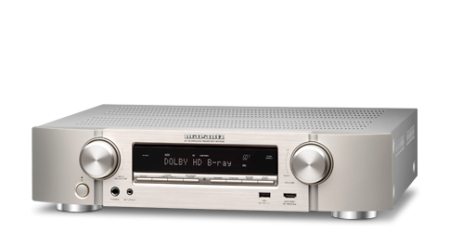 Dolby Vision compatibility is now supported, too, with pass-through for new HDR broadcast format HLG (Hybrid Log Gamma) to be enabled via a future firmware update. The NR1508 is equipped with an advanced dual antenna system for Bluetooth and Wi-Fi streaming, for a robust connection even in congested urban environments. Apple’s AirPlay lets you listen to your favourite tracks wirelessly from iOS devices such as iPhones and iPads. Using the measuring microphone and stand supplied, Audyssey MultEQ measures the speakers in your home theatre, including the subwoofer, and then applies multiple high precision DSP room acoustic correction filters, providing the smoothest, most natural tonal balance – regardless of the brand(s) or model(s) of speaker. 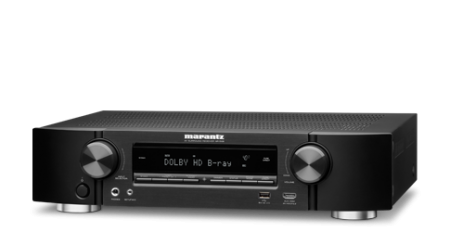 Via the HDMI CEC (consumer electronics control) functionality on some Smart TVs, it’s possible to control the NR1508 with the TV’s remote handset. 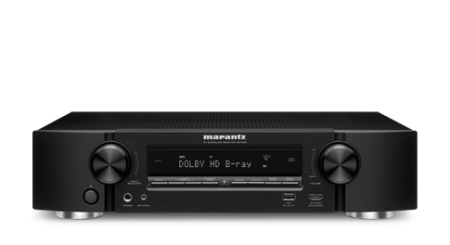 With the receiver’s „HDMI control“ set to ON, set „Smart Menu“ receiver control functions and the TV’s Smart Menu home screen will provide you direct access to source and surround mode selections, the main setup menu, and Smart Select configuration presets. 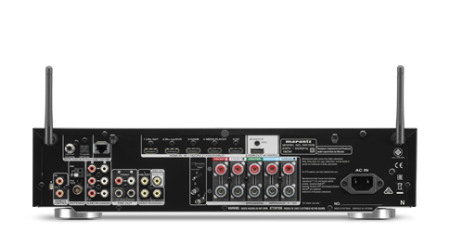 4 Smart Select function buttons on the front panel and remote control will store your preferred setup – input, volume and Audyssey configuration – for particular sources. 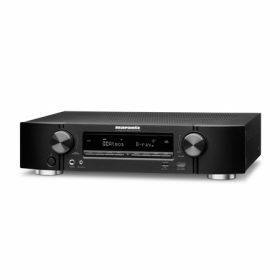 The push of just one button has the NR1508 perfectly configured for anything from Blu-ray or your TV set-top box to your favourite Internet radio station. For easy installation, the NR1508’s horizontal row of premium loudspeaker terminals is colour coded, with a set of matching cable-labels supplied to ensure correct hook-up. 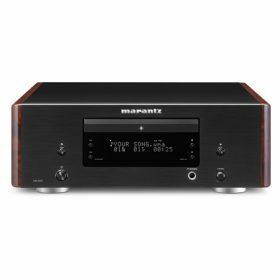 The AVR’s clear graphical on-screen display has an exclusive Setup Assistant, combining with the Quick Start guide to provide guidance and optimise critical settings for the best possible sound quality, whatever your configuration.